A-1 Electric will never shy away from the “more challenging jobs” Whether if you have a job that others are not qualified for or are unable to handle, give us a call and we will meet with you right away. A-1 Electrical is a hard working company staffed by hard working, local people and we will work with you to get the job done the way YOU want it done on YOUR schedule! We troubleshoot and repair safely and correctly and we can fix anything concerning your electrical systems. We have been providing qualified industrial electrical services in Des Moines and the surrounding area for decades, this means that we have seen almost everything and are very prepared to take on the dangerous jobs that other electrical companies might run from. If you need a professional qualified electrical contractor in to provide electrical service in your hazardous or danger area such as electrical power lines in or near a gas station, factory settings, hard hat areas, etc, You have come to the right company! 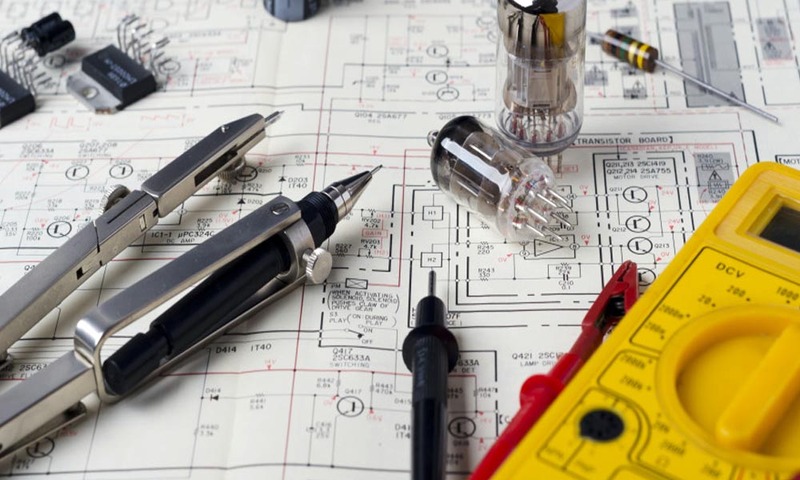 If you have a dangerous work area, hazardous materials nearby, gas station, factory or any type of danger area that you need electrical work at, give us a call and we will examine the area and develop a plan to get you the best electrical service in the shortest amount of time. A-1 Electric understands you need top notch profession, highly skilled and trained technicians who will get the job done right, the first time! A-1 Electric takes safety very seriously. It is more than a matter of OSHA compliance. It is often a matter of life and death. Our people undergo rigorous training and certification before taking to the field and continue training at regular intervals to ensure everyone goes home safely at the end of the day. Highly recommend A1 Electric. Came to my house to fix some electrical work another local company messed up. The work was completed quick and correct. They stayed true to the quote as well!!!! Electrician was very knowledgeable, friendly and most importantly: They got the job done quickly the first time! YES I will recommend them to anyone for electrical contracting. In my honest opinion, A1 Electric is Des Moines best electrical contractor! John was amazing. He knew exactly what he was doing and he did it well with great customer service and a friendly attitude. He did not make me feel foolish because I did not know what he was talking about, he took the time to explain it to me and he made me feel comfortable. He also was quick and did not leave a mess. Did an amazing job! A1 Electric is a real straight shooting company! Honest Prices! Quick and reliably. What more can be said about them, they are great! The best electricians in Des Moines area! I found them to be reliable and ethical and pleasant to be around. They spent time speaking with me, hearing my concerns and they avoided stepping on my flowers and my garden like I asked them to. Highly recommend A1 Electric! I'm a manager of a restaurant and when our coolers went down A1 Electric came to the rescue! We told them we needed someone right away, within a couple of hours of our coolers going down, A1 was at our location, figured out the problem was faulty wiring from our previous electrical contractor and then fixed the problem. Our customers never even knew they were there. They were clean and quick and saved us thousands! He actually took care of another electrical problem while he was visiting me and then fixed the main problem but only charged me for the one problem. He fixed it like a boss. I have used A1 Electric in Des Moines 3 times at 3 locations. Each time they have left me feeling satisfied. Thank you for being quick, clean and non intrusive. great prices, great great company, great customer service just great everything! I've been involved with John and Ginny Stickel for many years and I've always found them to be pleasant and honest. I have never been dissatisfied with any part of my business dealings with them. I would most certainly use A1 Electric in Des Moines for any and all of my electrical needs and I would recommend them to anyone who needs an professional electrical contractor in Des Moines, Iowa. I had bad luck with a different well known company in Des Moines and I am glad I found John, he installed the correct outlet that enabled our stove to work and he repaired the faulty wiring and fixed the damage that incurred from it, he even wrote everything down for me and supplied me with a diagram so I could use it in court. A-1 Electric was so fast and considerate, I will never use or refer anyone else. Everything is working so well now and I finally feel safe in my home! I’m very happy with John’s work. He even finished the job under his quoted price! I’d rehire him for any more electrical jobs and also he installed my neighbor’s outdoor Jacuzzi lights and wired up his driveway light poles, my neighbor is also thrilled with John and his employees! I was very satisfied with this company’s work. I would highly recommend this company to anyone in need of electrical work at their home or business. John was incredibly helpful and I have already recommended him to several friends who have enjoyed his work. He was helpful in finding appropriate lighting choices for our newly remodeled kitchen re as well. FAST SERVICE, PRICES ARE REASONABLE, AND GOOD CUSTOMER SERVICE. A-1 Electric’s response time was quick and punctual. The technician who came to do the work was knowledgeable and courteous. The owner, John, was very professional and courteous. He was prompt and gave me some very sound advice on what we should be doing to keep our house safe from anymore electrical problems. . His price was fair and he didn’t try to get me to do anymore than we needed at this time. I will definitely use A-1 Electric in the future. We were very pleased with this company. They were quick to respond. The quality of the work was excellent. Very professional. They did exactly what they said they would do. Very reasonable. A-1 Electric was great. They fixed the problem for a fraction of the cost that was quoted to me by the another electrician in Des Moines. Actually the other electrician was trying to take advantage of us. Through a referral I got an honest company in A-1 Electric I will and have recommended them to others.” Tim and Nancy Beauchamp, Beaverdale,IA “We were very pleased with this company. They were quick to respond. The quality of the work was excellent. Very professional. They did exactly what they said they would do. Very reasonable. John and his team are wonderful. We will be hiring them us on all future projects. We had major miscommunications with a previous electrical company from West Des Moines and after 3 months of problems and broken promises we found A-1 Electric, THANK GOD! John was personally out here right away in the morning and in about 2 hours repaired the problems the other company caused and then fixed the original issue the other company never addressed. Thank god there are still companies like A-1 Electric that have pride and skill. John and his employee were neat, quiet and very considerate of our guests and neighbors. Hover cursor over testimonials to pause. Des Moines’ Most Experienced Electrical Company Since 1988! Call us today, don’t wait for the problem to get worse!